It’s Preakness Stakes Week in the Charm City. Did you know that the first run of the Preakness Stakes was in 1873 and was named by a former Maryland governor after a winning colt at Pimlico. The race has been termed “The Run for the Black-Eyed Susans” because a blanket of yellow flowers altered to resemble Maryland’s state flower is placed around the winner’s neck. Attendance at the Preakness Stakes ranks second in North America among equestrian events, only surpassed by the Kentucky Derby.named by a former Maryland governor after a winning colt at Pimlico. The race has been termed “The Run for the Black-Eyed Susans” because a blanket of yellow flowers altered to resemble Maryland’s state flower is placed around the winner’s neck. Attendance at the Preakness Stakes ranks second in North America among equestrian events, only surpassed by the Kentucky Derby. And the quintessential food associated with Baltimore and the Preakness are the Maryland Crab Cakes.Baltimore-Style Crab Cakes are also unique to the Mid-Atlantic city. But for those who may be allergic to shellfish, there is a vegan option created by Jenne Clariborne. She is the vegan blogger behind Sweet Potato Soul. She was raised in Georgia and LOVES food. So she creates vegan versions of some of her favorite foods, in order to make healthier, more vegetable-forward dishes. 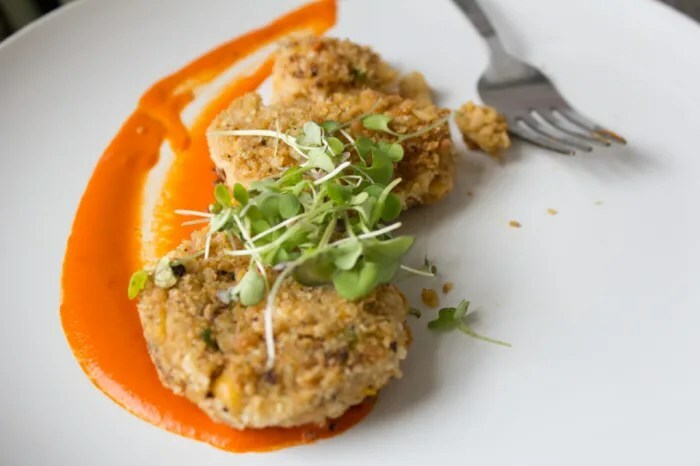 These crab cakes are so good, you will forget that they are completely vegan from the first bite. I know I did! Place the chickpeas, hearts of palm and jalapenos into a food processor and pulse to combine and mash. Don’t over process it though, you still want some crabby texture. Scoop the chickpea mixture into a large bowl and add the vinegar, Old Bay, mustard, mayo and 1 cup panko breadcrumbs. Stir well to combine. Place the remaining ½ cup of panko in a shallow dish. Heat an oil coated skillet on medium-high heat. Form the “crab” mixture into small patties-making sure to pack the mixture tightly, and then coat in the panko in the shallow dish. Pan fry for 3 minutes on each side. Do this with the remaining batter. I usually fit 5 patties on the skillet at a time. When they are cooked, transfer them to a plate covered with paper towel. Serve with a dollop of red pepper aioli and fresh greens. After a long winter, there’s nothing more welcome than the sight of spring’s first vegetables: Crisp lettuces, earthy morels, slender spears of asparagus, leafy spring onions, fresh peas and green beans, and piles of bright rhubarb join year-round staples like garlic and beets as well as winter favorites nearing the end of their season. 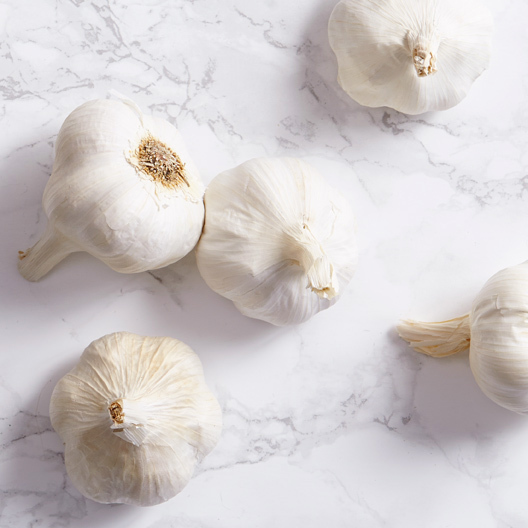 In the first of our series of comprehensive seasonal produce guides, we’ve got expert tips for buying, storing, and preparing the best of spring’s bounty, plus recipes for everything from roasted artichokes with a white wine and chile-garlic sauce to a gorgeous rhubarb upside-down cake to vibrant shaved asparagus and carrot salad. Happy cooking! You can click on the photos to see the information on some of my favorite spring time ingredients.